Yes, bigger is better. Leupold has upgraded its popular “folded-light-path” compact spotting scope, by adding an HD-glass, 80mm front objective and boosting the magnification up to 60-power. That will give this NEW scope better low-light performance and higher magnification while retaining a usable exit pupil (if you increase magnification without increasing the front lens diameter, the exit pupil shrinks). The unit costs $1800, not bad considering the price of other 80mm spotters, and the Leupold is much easier to carry, given its compact design. We’ve always liked the Leupold compact spotter because it is light weight and it’s Newtonian (folded light path) design makes it much more compact than most spotters of comparable magnification. The U.S. Military currently uses the Mark 4 “tactical” version of the Leupold 12-40x60mm spotter. However, we felt that the glass in the 12-40 spotter was not on a par with the latest generation HD spotters from Kowa, Zeiss, and Leica, or even Nikon and Pentax for that matter. Leupold has taken a huge step forward by gracing its new spotter with a big, HD (low dispersion) front objective. This should give the scope better perceived sharpness with much less color fringing (chromatic aberration) when viewing targets at long range. Upsizing the objective to 80mm makes the scope brighter, improving low-light performance. That’s important, particularly for tactical guys and hunters. The bigger objective also allows Leupold to increase magnification all the way from 40X to 60X. Do you always want a 60-power view? No, but it is great have 50% more magnification on tap when you need it. Most 40-power spotting scopes struggle to resolve 6mm and 6.5mm bullet holes at 600 yards. With HD glass and 60X magnification, you’ll have a much better chance to see small bullet holes at long range (though you’ll also need good viewing conditions). That’s a huge advantage for the long-range target shooter. 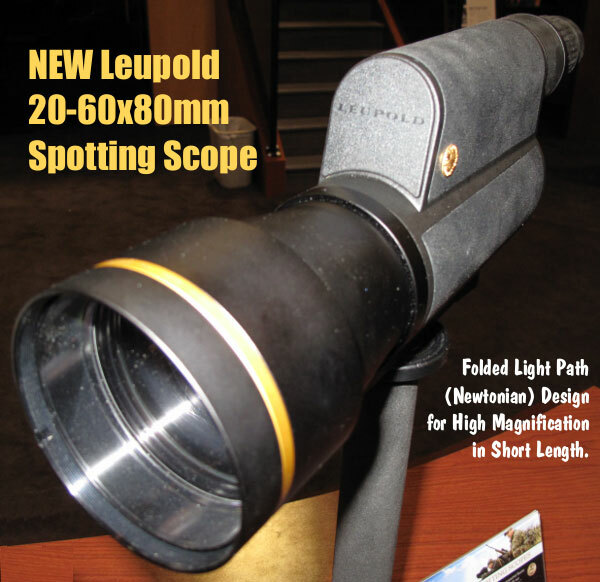 Overall, we were very pleased that Leupold engineered this much-enhanced 80mm spotter. We predict it will be a big hit with anyone who needs serious magnification in an easy-to-carry optic. 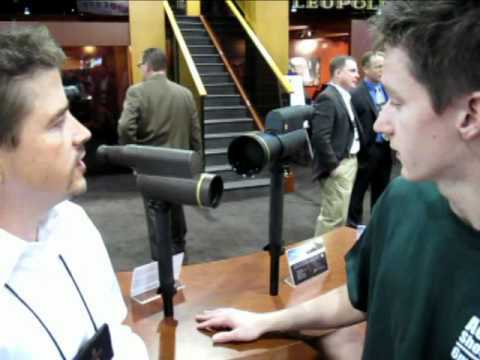 Share the post "SHOT Show Report: New Leupold 20-60x80mm Spotting Scope"